I'm back with another review. 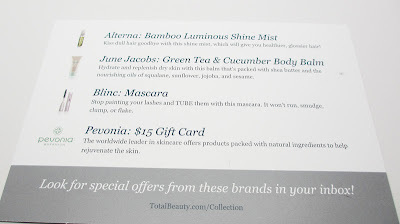 Today I'm featuring the newest monthly beauty service to hit the market from Total Beauty. I've worked with this company in the past and was excited to see their newest offering. At $15 per box it's worth checking out, especially since i'm doing a giveaway! 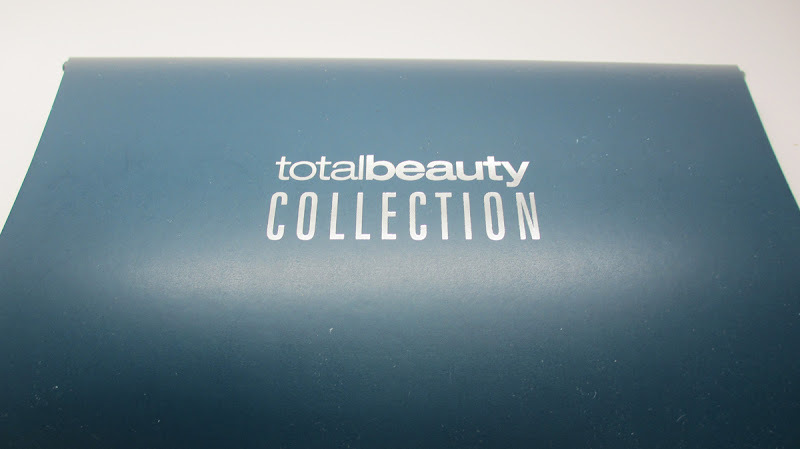 The Total Beauty Collection first went on sale on May 7 and I was able to test the first one out. Inside, you'll find 4-5 beauty samples from skin care, to hair care and cosmetics. The collection is $15 per month with free shipping and unlike other sampling programs doesn't require a subscription. Each month the packages sell till they're out on a first-come first-serve basis. This is a nice sized hand lotion - the smell was a nice cucumber scent and it wasn't greasy. 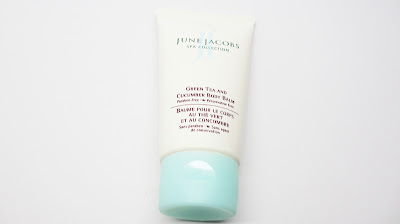 I wasn't familiar with the brand but I can always use another hand cream. 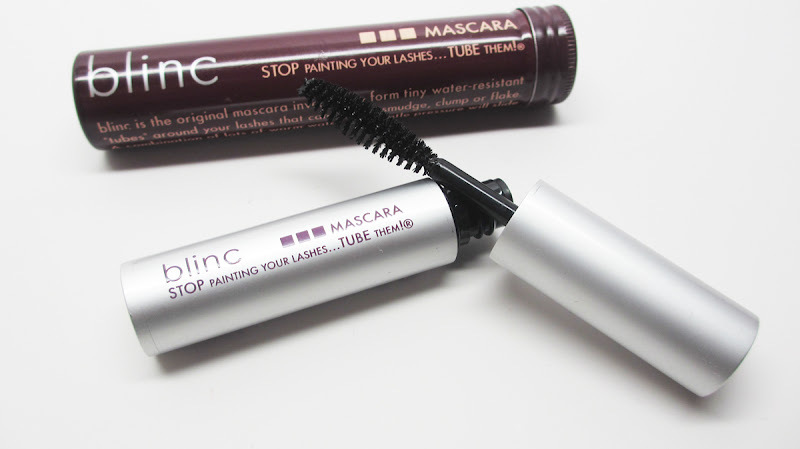 I'm a huge fan of blinc products, especially their famous mascara with the tubing technology. This is perfect for travel. 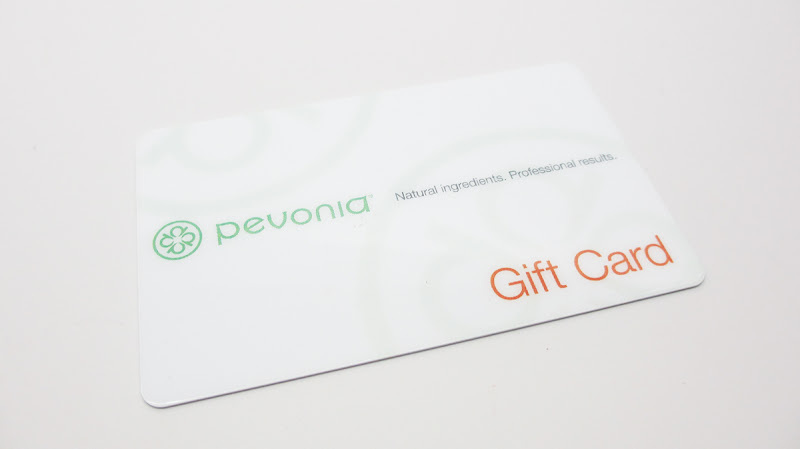 You also get a $15 gift card to Pevonia - I still need to cash it in. 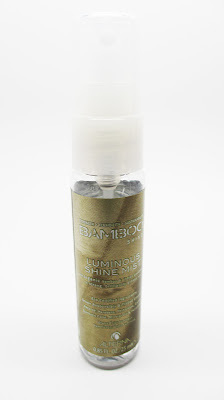 To found it off, you get this shine spray. It actually does hydrate the hair and give it a bit of shine. Don't go too crazy or it will get greasy. Again, great size for travel and I can see this lasting several months. You can check this collection out at at www.TotalBeauty.com/Collection. I'd lov eto get this in the mail! Sample sizes are great for traveling. I want to win this because I love trying new products. I love trying new products, but don't get to buy much because I'm a student :(. Winning some nice samples would be awesome! I would love the hand lotion. I love the smell of a nice cucumber scented anything, lol. WOW I have never tried any of the monthly subscription service, but this one is so intriguing. I would love to tried out new products from this service. Seem like better than others. This seems like such a neat little service! I'd like to win this because I've really been wanting to try out a sampling service. i've heard about blinc, but i've never tried. i have also never seen this in stores. Heck yeah....I would love to win! 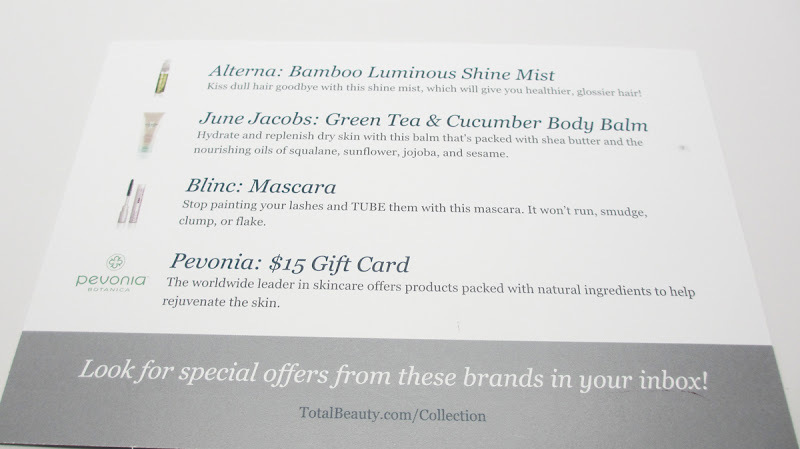 I always hear Leina rave aboutBlinc mascara and I would love to try it out.